Hands up if you have got life completely sorted and under control. No, I didn’t think I would see many hands, mine were definitely not up. So, as we are all doing our best to work out this thing called life, we inevitably make mistakes, and if we were to be given another go at life we would perhaps do some things differently. As life is not a rehearsal, people will do things to other people that will cause upset. When this has happened in my life, I have tended to hold a grudge against the other person and talk badly of them as though I have all the answers. The thing with holding a grudge, is that those negative feelings that you are holding create the negativity in you. You are the one that feels bad because you are carrying the unpleasant feelings. Although the righteous ego finds it hard to release these feelings, forgiveness washes them away. You have an incredible power within you. You are the only human being in the world like you. But what I have noticed, whilst working with people young and old, is that a huge number of human beings give that power away. They let other people control their lives, by reacting like a puppet on a string to the things that other human beings do to them. If you find yourself annoyed by someone else’s actions, can you smile and find compassion, rather than spending the next hour fuming about their lack of manners, awareness, kindness, or whatever it may be? Can you be the person to make the decisions in your life? Can you bring awareness to all of your actions? You are great at something, whether it is creating a home, raising your children, singing. Whatever it is don’t keep it inside, let the world know about it. Social media makes it easier than ever before to wow the world with your unique abilities. Unless, of course, you don’t want to share it, in that case just do it anyway! 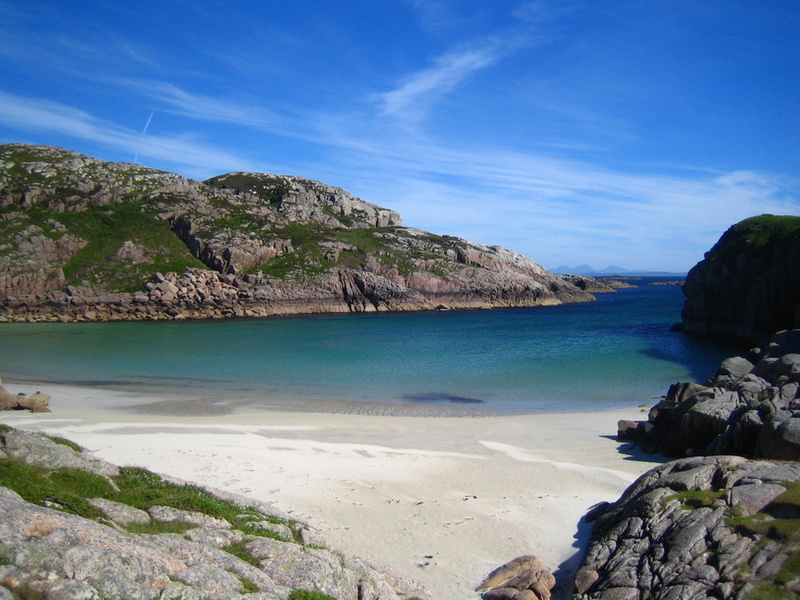 Living on the Isle of Erraid (a tiny tidal island off the west coast of Scotland with a population of between 4 and 34), means that because there can be so few people living there, the way that we as individuals live our life, strongly influences the rest of the group that is living on the island at that time. This provides a great opportunity to co-create the environment that we would like to live in. In the world outside of Erraid, it may seem as though we have less of an opportunity to co-create our environment because there are more people around us or we are operating in a larger area, but I would argue, that the way we behave affects the people close to us and not so close to us equally as strongly as an individual can affect a small group living on Erraid. Although we may not see and experience the results of our behaviour as quickly or clearly, we still co-create our environment. Therefore, whenever, wherever and however we show loving kindness, the world we live in becomes a better place. You are unique, you are special, there is only one of you in the world. Of course there are things you can do better, even celebrities, as the television regularly proves, can’t do everything! I have found that if you value yourself and admit you have weaknesses, you are a human being after all, then other people will also value and respect you. I have also found, that people that put themselves down, are giving others permission to put them down as well. Admit you have strengths and weaknesses but focus on your strengths and work on your weaknesses. You have a choice in every moment, be grateful or not, simple! Some people look at the cloud, some people look at the silver lining. I have found that in any situation, I can choose how I look at it, I don’t give away my power, I don’t allow other people to control how I feel. One example of this is from our time on the Isle Of Erraid, one guest commented about the rain, how it ruined her day and her plans. I saw it differently. I was grateful for the rain that filled up our drinking water tanks, for the rain that watered the garden enabling the plants and vegetables to grow. Looking at life through the eyes of gratitude will transform your life, for the better.